The new year is almost upon us! 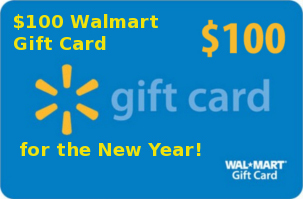 And in order to celebrate in true Tip Hero fashion, we're offering one lucky person the chance to win a $100 Walmart gift card to start 2013 off right. Enter for your chance to win this helpful prize by filling out the PromoSimple entry form below. Good luck!